What’s your team’s feedback type? Feedback is one of the most important parts of being a manager – when done well, it builds culture, motivates, helps employees learn and more. But feedback is complicated – leaders have to be clear about what they want to accomplish and have to speak in a way that’s heard by the employee. But people are different in what kind of feedback they need and how they respond to feedback. Put simply, different employees benefit from different kinds of feedback – provide the wrong kind of feedback and you risk leaving employees feeling frustrated, angry or demoralized. Your style of providing feedback likely reflects how you like to receive feedback – we usually do to others what we like to receive ourselves. But a team member who has a different style of receiving feedback will benefit more from different kinds of feedback. To best manage your team, you will need to adjust your style of feedback to what each team member needs. We’ve identified six different styles of receiving and responding to feedback. By understanding the style of each of your employees, you can give them the feedback that’s most effective for them. Explorers – Explorers are very open to feedback and seek to explore and understand what it means and how they can benefit from it. Explorers will ask many questions to understand better what the feedback means, where it applies and so on. Explorers often may be mistaken for Controllers, described below, since both will ask questions and poke and prod on the information. The main difference is that Explorers tend to use what they learn from the feedback while Controllers often will disregard it. Explorers will find positive feedback to be less interesting than constructive feedback, which provides opportunities to learn. Constructive feedback that is set up as a chance to imagine better ways of working will be most effective. Just the Facts – Just the Facts types just want to know what to do, when, where and how. They tend to prefer detailed and specific performance-related feedback so they know exactly what to do. Just the Facts types tend to be comfortable with both positive and constructive feedback. 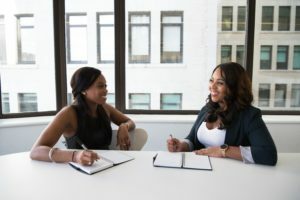 While Just the Facts types, like Pleasers, will prefer direct instruction over dialogue, Just the Facts types are more likely to push back or engage on feedback that they find confusing or inaccurate, while Pleasers are more likely to do their best to understand and follow whatever feedback they receive. Controllers – Controllers tend to control or manipulate the feedback, either by arguing and debating or by spinning and reinterpreting the feedback to match their beliefs. Feedback for Controllers usually has to be specific and supported by examples. Feedback with Controllers often is a process, where the same feedback is delivered multiple times to ensure it is heard, and with follow-up to make sure the person is acting on the feedback. Passive Aggresives – Passive Aggressive types often outwardly acknowledge the feedback but internally disagree or disregard it. Passive Aggressive types requires significant foll0w-up and monitoring to ensure that feedback is followed. Emoters – Emoters tend to react emotionally to feedback, regardless of its nature. Emoters often will disregard or dismiss positive feedback and become paralyzed by constructive feedback. Feedback for Emoters is best given more frequently and in smaller chunks or increments. As you plan feedback for your team, keep in mind each person’s style for receiving and processing feedback, and tailor your feedback for each one. You’ll find that your feedback is better received and more effective.